"Big hearts little hands is a blessing. The things that these beautiful women have been able to teach my daughter just in the few months she has been there is amazing. I was so hesitant about putting her in daycare after our last experience but after meeting the director and touring the center i knew this was the perfect place for my child. She loves going to school everyday and learning new things." 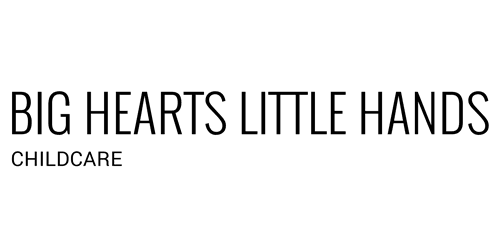 "Big Hearts Little Hands has been a blessing to my daughter and family. This isn't just a daycare full day schedule hot meals snacks you don't have to worry about bringing in anything but your child and nap map. Very clean, great staff, I don't have to worry that my daughter is just sitting around or not being watched. She is learning happy and excited to go to her school. Wouldn't take her anywhere else." "An amazing space for children to learn and love! The atmosphere offers great opportunity for kids to be themselves, discover creative play, and feel safe in learning. Congrats!!" played a major role in raising my babies and I would have it no other way. here. Thank you for everything! son has fun every day. We love BHLH.